September 28, 2016 Geren W. Mortensen, Jr. I'm trying a computer experiment. It's an experiment in low-cost computing. As you may know, I've been fairly impressed with modern Android tablets, and also with Google's Drive suite of productivity apps. Because of this, I was keen to try a "greater" experience, but didn't want to spend a couple hundred dollars or more on a Chromebook. 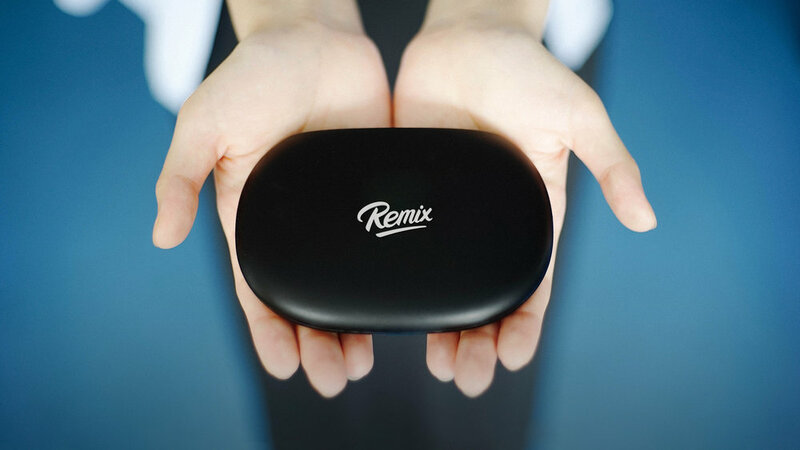 Enter Remix OS from jide.com, a desktop-optimized version of Android 5.1 Lollipop, and also the Remix Mini computer. While I use the term "computer" somewhat loosely, the Mini does meet the basic requirements to be called a computer. I was unable to get Remix OS to install and run from a thumb drive, but when I downloaded the OS, I was offered a significant discound on the Mini, so I went ahead and ordered one. It arrived from Hong Kong in just a couple of days in an attractive and very well constructed package. While I'm not going into a lot of detail in this post, I will say that initial startup was not particularly smooth. Out of the box, the Mini is configured for PAL video, and most US monitors or TVs cannot display the 50Hz video. In my case, a 24" Dell monitor and a fairly decent 32" HDTV wouldn't do the trick. I was lucky that the old, no-name 19" HDTV in our bedroom would work, so I could complete the setup. Jide claim compatiblilty with the majority of apps on the Google Play store. I've been fooling with the Mini for a couple of evenings now, and I've found some things that work well, and some that simply don't. More on that as I learn more about this little "machine". At this point, I'll probably report on my experiences every few days.